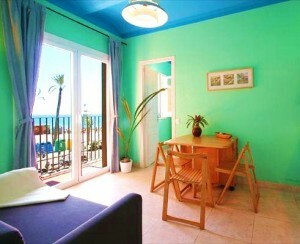 Holidaymakers in Barcelona are increasingly going for apartment rentals when choosing their accommodation in the city. Apartments more commonly than not offer more space than hotel rooms as well as a homely feel, better value for money and the option of sleeping larger groups together under one roof, which is perfect for families and friends. In terms of the apartments in Barcelona, the variety of options available to visitors is huge, providing something to suit all tastes. There are of course many factors worth considering when choosing accommodation for your Barcelona break: Are you looking for a snazzy duplex or a cute studio? A swanky new-build or a historic treasure? Do you want a beachside hideaway, a secret, gothic gem or to get in there amongst the locals? And will you be taking daytrips, meaning needing an apartment conveniently located for public transportation? 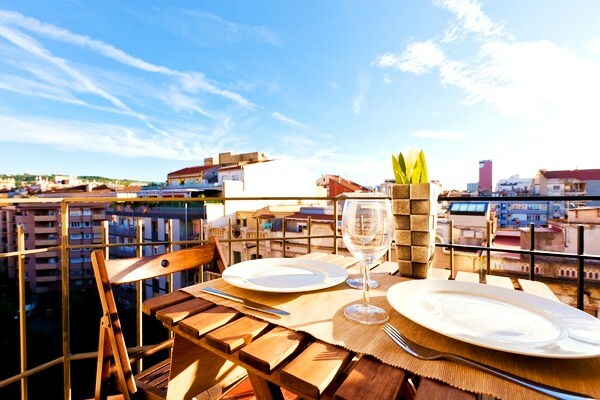 Take a look at our handy tips on finding your ideal apartment in Barcelona and make sure you really get the most out of your time in the city! The Catalan capital is home to a wonderful collection of districts, each unique, with a distinct personality, and choosing where exactly to stay is definitely one of the trickiest decisions to make when picking out your holiday apartment in Barcelona. Each area offers something completely different, and it can be difficult to know which neighborhood is right for you. To help you out, we’ve prepared a short guide to the five most popular areas in the city. If what you really like doing when on holiday is making the most of the Mediterranean sun then Barceloneta is the place for you. The lovely seafront, lined with sandy beach bars, trendy hangouts and amazing seafood restaurants, is one of the most popular areas of the city. The amazing sea views along with Barceloneta’s proximity to the city center make this area an ideal spot for those wanting to combine the metropolitan with the surf. 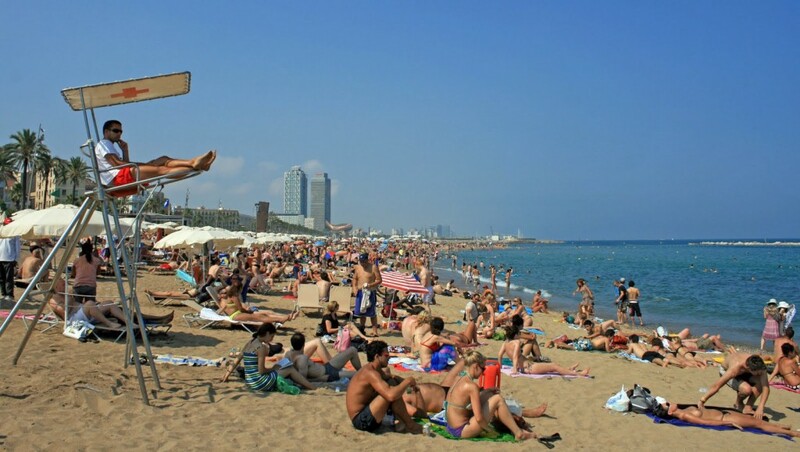 It’s subsequently not surprising that this neighborhood is filled to the brim during the summer months, as visitors get comfortable in one of Barcelona’s many beach apartments. Originally a separate village from Barcelona, Gràcia merged with the city during the construction boom at the turn of the last century. 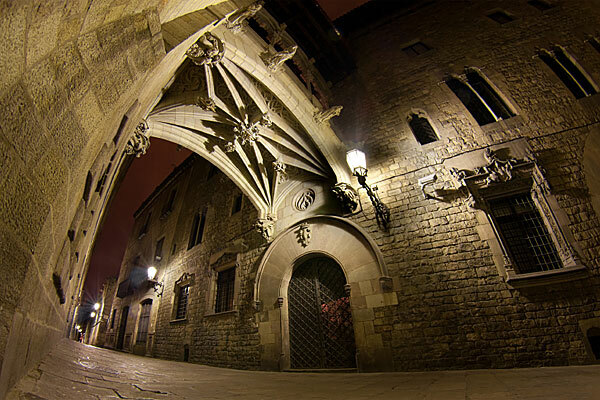 With a distinctive Catalan atmosphere, this upscale neighborhood is today filled with great restaurants, arty cafés, and locally-owned boutiques and is known for its bohemian atmosphere. Just a few metro stops away from Plaça Catalunya and within easily reachable distance to Gaudí’s renowned Park Güell, choosing to stay in a Gràcia apartment is the best idea for those looking to stay outside the hustle and bustle, but close enough to venture to all of the sights when they want. If you’re a fan of Modernism then Eixample is the ideal place for your Barcelona apartment. 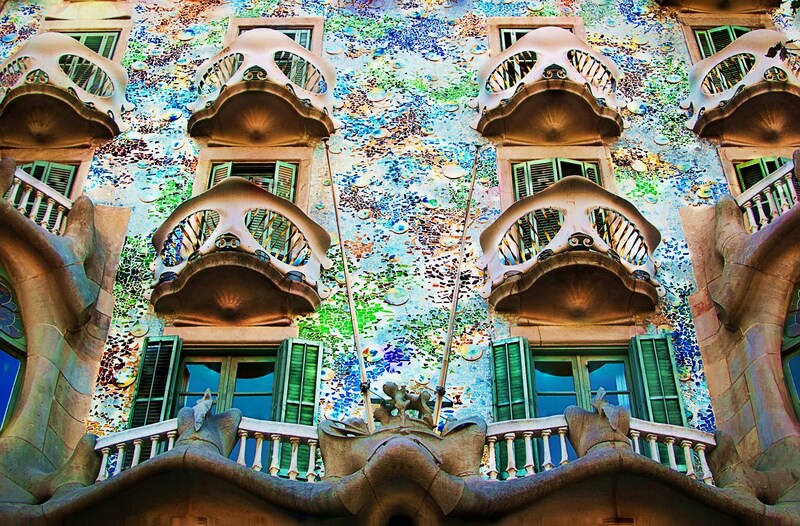 The neighborhood is home to some of the most renowned sights in Europe including the majority of Gaudí’s masterpieces, such as the amazing Casa Batlló, the weird and wonderful La Pedrera and the unique Sagrada Familia. As one of the first extensions from the old city center, Eixample boasts glamorous turn of the century buildings which today house swish hotels, up-market restaurants and designer shops. The area is split into two different districts: Eixample Izquierdo and Eixample Derecho, each one with its own array of incredible restaurants, monuments and shopping highlights such as the Passeig de Gràcia street. Eixample’s reputation as an architectural hotspot means that choosing to stay in one of the many apartments on offer in this area will leave you surrounded by some of Barcelona’s very best bits. For a vivid taste of Barcelona’s dramatic past, there is no better location than the sensational Barri Gòtic. Nestled between El Raval and El Born, this area offers visitors a full-on experience of the rich and fascinating history that this buzzing city has to offer. Characterized by small, winding alleyways and beautiful medieval architecture, staying in the Gothic Quarter is like being transported back in time. The neighborhood is home to endless tourist attractions including the Barcelona Cathedral, Plaça Reial and the home of the Catalan Parliament in Plaça de Sant Jaume. The Gothic Quarter is a real treasure trove of a neighborhood offering something for everyone and its picturesque streets filled with intriguing shops and inviting tavernas make this an unforgettable place to stay in the city. Of course, each visitor to the city has his or her own idea about what a perfect holiday apartment in Barcelona would be like. Luckily, the vast range of accommodation available in the city comes in all shapes and sizes and is able to cater to every need. Whether you’re after a child friendly apartment, accommodation for a large group, or a trendy studio for one, you’re sure to find it in Barcelona. When booking your apartment, be sure to check the capacity, as well as the bed distribution, to avoid any problems upon arrival. Something else to consider is whether you will be mainly dining in or out. If you’ll be opting for home-cooked meals, check that the kitchen has everything you need to be able to rustle up your perfect feast. Apartment facilities/equipment/amenities are listed on websites so make sure you review these when you book. A good way to find out about different apartments is by consulting the guest reviews. These offer you first hand opinions and are often a great way to really see whether the apartment is right for you. What was the standard of the apartment like? How good was the location? How professional was the company? These are all questions that can be answered by reading the guest reviews, so be sure to check them out before you book. So, really it’s as easy as that! Don’t let choosing your accommodation become a chore. 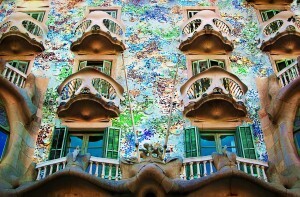 Just follow these simple steps and you’ll be sure to find your ideal apartment in Barcelona in no time! This entry was posted in Home, Neighborhoods, Tourist Guide, Travel & Vacations and tagged accomodation in barcelona, Apartment Barcelona, apartments in barcelona, areas in barcelona, barcelona, Barcelona accommodation, barcelona accomodation, barcelona apartments, barcelona beaches, barcelona eixample, barcelona neighborhoods, barcelona tourist guide, barceloneta, staying in barcelona, tourism in barcelona, visiting barcelona. Bookmark the permalink. בזמן אחרון אני יותר ויותר משתכנע שאולי באמת עדיף לטייל לא דרך בתי מלון אלה דירות מקומיות. .ככה אתה באמת מרגיש את העיר, אוירה מיוחדת. לדעתי פעם הבא שאהיה בנופש בברצלונה אנסה לשכור דירה.